Creating a convincing accent, be it a Southern drawl or a Scottish burr, is frequently a key component in an actor’s process. There are so many pitfalls here: Every syllable is a chance to screw up, every dipthong a potential landmine. 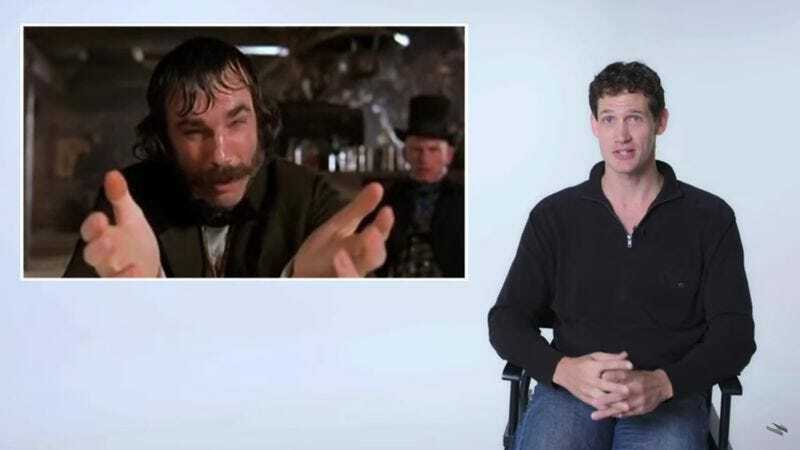 In that spirit, Wired enlisted the services of dialect coach Erik Singer, who analyzed 32 different movie accents to see what various actors have gotten right and wrong. Heath Ledger (Brokeback Mountain, The Dark Knight), Daniel Day-Lewis (There Will Be Blood, Gangs Of New York) and Philip Seymour Hoffman (Capote) are among those singled out for praise. Kevin Costner (Robin Hood: Prince Of Thieves), Keanu Reeves (Bram Stoker’s Dracula), and Mickey Rooney (Breakfast At Tiffany’s), on the other hand, aren’t so lucky. But this is no witch hunt. Singer admits that getting all the details right is tricky, so much so that an actor can be correct at the beginning of a sentence and wrong by the end of it. An example is Joseph Gordon-Levitt’s mostly credible French accent in The Walk. “When an accent doesn’t go right,” a sympathetic Singer explains, “it’s usually not the actor’s fault. It’s usually a combination of actor, coach, and production and often is about not having enough time to time to prepare before shooting starts.” An obvious example is Don Cheadle, who feebly attempts a Cockney accent in Ocean’s Eleven. “There’s no way the actor was given enough time to prepare,” Singer says. It’s always a risk to play a real person, meanwhile, especially a well-known figure who has been filmed and/or recorded many times. Singer looks at portrayals of Martin Luther King, Katharine Hepburn, and Nelson Mandela, comparing movie scenes with historical footage to see what the respective actors got right and what they could have improved. That’s why Hoffman’s eerie performance in Capote really stands out. “This is just amazing in every way,” Singer enthuses.